At a rally in East Midnapore district's Kanthi, Shah launched a scathing attack against the TMC govt in WB and alleged that Banerjee's paintings were bought by chit fund owners for crores of rupees. KOLKATA: Senior TMC leader Chandrima Bhattacharya Tuesday issued a defamation notice to BJP national president Amit Shah for his remarks against West Bengal Chief Minister Mamata Banerjee. At a rally in East Midnapore district's Kanthi, Shah launched a scathing attack against the TMC government in West Bengal and alleged that Banerjee's paintings were bought by chit fund owners for crores of rupees. Bhattacharya, who is also the minister of state for health in West Bengal government, accused Shah of trying to malign the TMC supremo's image by "uttering lies". 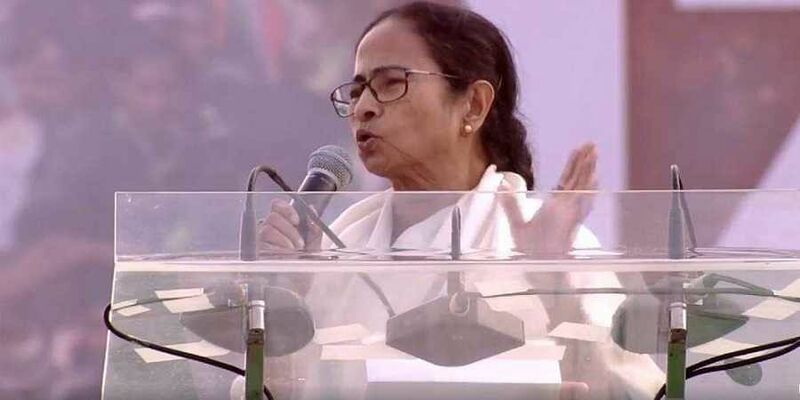 "I have issued a defamation notice against BJP national president Amit Shah for his defamatory and malicious remarks against Mamata Banerjee," she said. "I want to ask him on what basis he had made those comments against our party leader. He has to either give evidence in support of his statements or apologise publicly for his comments. If he doesn't do it we will take legal steps against him," she said.